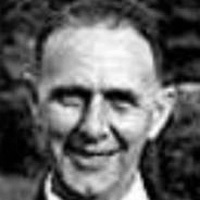 Ally was manager of Carnoustie Panmure when then United manager Reggie Smith offered him the job of assistant manager at Tannadice. When Smith resigned in January 1957, Ally was placed in temporary charge, and had a steady start with three wins in his first five matches. However, disaster struck when United went down 7-0 to Raith Rovers in the Scottish Cup, and a week later suffered a repeat scoreline against Morton. For the third consecutive match, Unted conceded seven goals with a 7-1 defeat to Clyde, and he resigned as manager after just seven weeks in charge. After resigning, Ally remained at Tannadice as an employee of Taypools, a fundraising project run by the Club that helped transform United from a lowly Division Two side to the Club that they are today.